We know that there will be an old series Raider coming as well as the Heavy Raider from the new series, and we already have the Raider from the new series, all are really cool...but there are a couple of others versions that are also very cool. I REALLY liked the look of the Raiders from Blood and Chrome, and there is also a cool looking Raider from the BSG Online game...I truly hope we get to see these two Raiders produced as well! 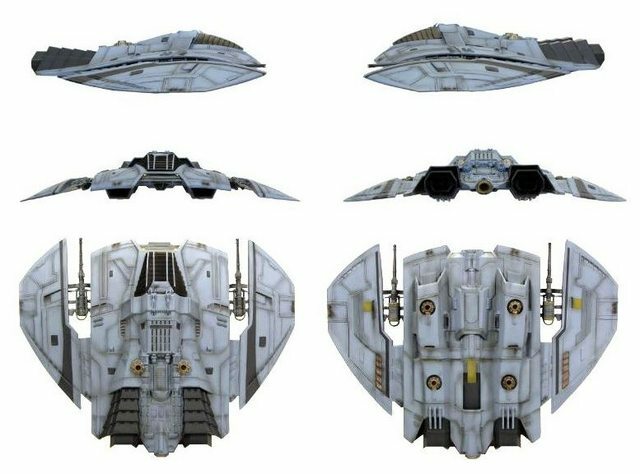 Those old series raiders had three crew members. I wonder how that will impact the crew cards? Now if you can find a model for this, as an interim target. Andrea says the Structure should be less, but didn't say how much less. I went for tough, as it was a bigger, three-seater. What do I know? HMmmmm, I wonder if they will be more adept at operating additional weapon systems, other than the ships main guns, like missile system or bombs, with three crew, they could perhaps dedicate more of the crews resources to operating such systems more effectively...perhaps! I wonder if we will ever see split Attack numbers, so for example, 8 for the main guns (due to the ship be less maneouvrable) and 6 for missiles and bombs (due to having crew dedicated to operating these systems without having to also fly the ship). It is, for me, a given that we will see cards for multi-crewed ships with different Attack ratings, and possibly different damage ratings. Looking at what the designers did in Wings of Glory, it has to be that way for Raptors. Different crews also means different Talent and Flaw cards are possible. Just waiting to see where that goes, but it looks like (again, just my SWAG) fall for the heavy ships. 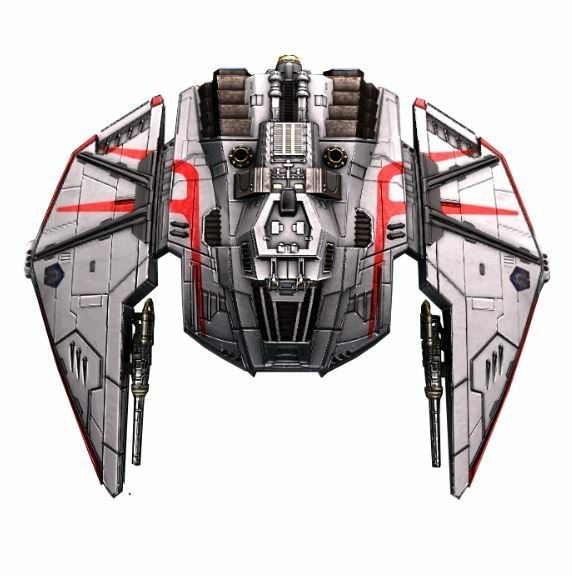 I've not played, or even have any familiarity with, the "Wings" line of games, so I am not sure how crews work in those games...is it that they add extra Talents and Flaws, or different (specific to crewed ships) Talents and Flaws? Wings of War/Glory doesn't have modifiers for crew, per se... though Aces have access to a variety of "abilities" that provide benefits (ignore jams, bonus damage draw, flying illegal maneuvers, etc.) and rookies have some limitations. No skill levels though.